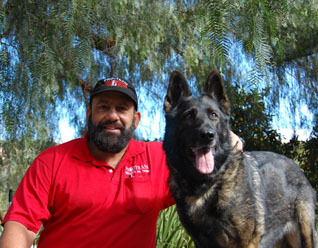 Service Dogs, San Diego | Dog Trainer in San Diego: The Dog Man Can. Service dogs are very important both in personal and community use, most especially for individuals with disabilities. This is the reason why taking your lovely canine to a training facility for skills enhancement can be a great help to make it even more useful. Whether you are looking for a service dog training facility to enhance the assistance skills of your dog for personal use or you want to develop a career as a dog trainer, Pro-Train – a reputable training facility for service dogs, San Diego – can help you realize that goal. This facility has been in business since 1978 and has produced many graduates not just from the US but from different part of the globe who then have become successful as dog trainers. It has been the go-to facility for those who want their dogs learn new skills – be it a simple trick or a more complex skill. In other words, Pro-Train is a training ground where both the dogs and their owners learn. These dogs respond to different sounds which may include knocking, doorbell,phone ringing, alarm clock etc. Can turn lights on or off,retrieve dropped objects,open and close doors,provide balance and support or pull a manual wheelchair,and perform many other tasks depending on the needs of the individual. 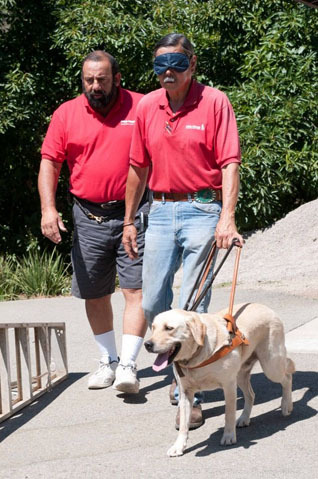 Dogs for the visually impaired can be taught to guide a person around obstacles, indicate the location of stairs, doorways, elevators and provide other functions as needed for the individual. These dogs can be provided for multiple disabilities or unique applications. For inquiries on training programs for service dogs, San Diego, contact us at (760) 749-0897. If you have a passion for dogs and a love for them and understanding of them Pro train would be a great career choice. Pro train in San Diego teaches you how to read a dog, leash control, e collars, service dog training ,protection training ,dog behavior. You learn how to teach dogs with major behavior issues to overcome them, and their owners to become better companions for the rest of their lives. I can’t say enough about the great knowledge that Mark Castillero and Lee bestowed upon me.